The Golden Pagoda of Namsai in Arunachal Pradesh is visited by more than one lakh tourists, out of which 40 per cent are foreign visitors, in one year. Golden Pagoda of Namsai, also known as Kongmu Kham in the Khamti language, is a Burmese style Buddhist temple. Opened in 2010, the Golden Pagoda is spread across a 20 hectare complex. The Golden Pagoda, built with the initiative of Arunachal Pradesh deputy Chief Minister Chowna Mein, witnesses an average of 7,000 visitors in weekends during the peak season. Most of the international tourists, which accounts for 40 per cent of the total visitors to the temple, are from South East Asian countries – mostly from Thailand and Myanmar, reports TNM. The report says, most of the visitors are religious pilgrims which come either to participate in cultural or religious activities. 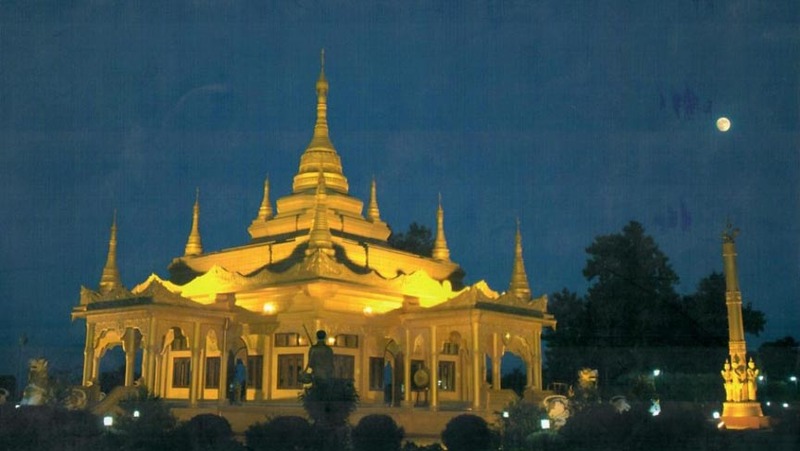 The Golden Pagoda was built to promote spiritual tourism in the region. Since its inauguration in 2010, the place has become a major tourist destination in the eastern part of Arunachal Pradesh. The report stated that a Thai research team from Mahidol University, Research Institute for Languages and Cultures of Asia, Thailand visited the Golden Pagoda at Tengapani (Noy-Cheynam) recently. The team has been in Arunachal Pradesh to study the tribal cultures of Arunachal Pradesh. During interaction with the research team, the report says, Arunachal Pradesh deputy Chief Minister Chowna Mein highlighted the vast tourism potential of the state.